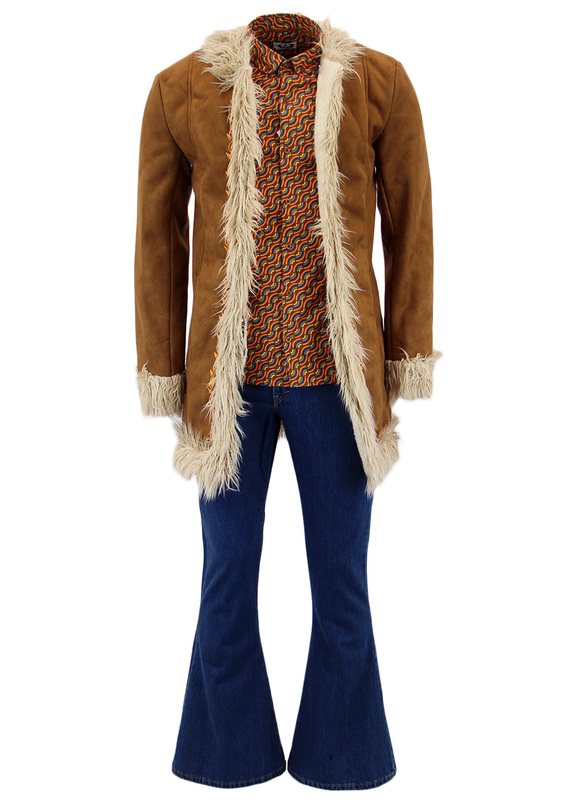 Spice up your wardrobe with an awesome Sixties and Seventies inspired outfit, featuring Madcap England's hottest items. 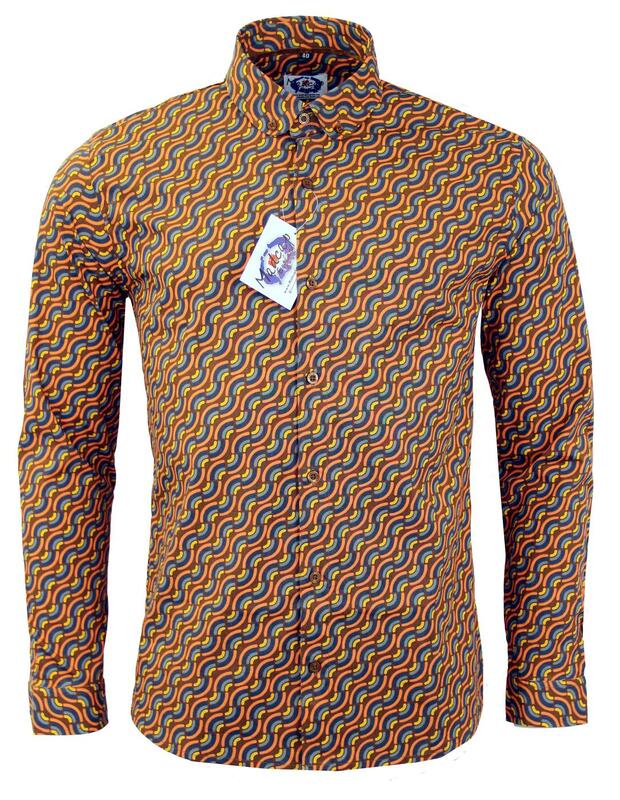 Here at Madcap England we have teamed together some of our greatest clobber to make a truly outstanding outfit for you to rock this Spring. - 'Instant Karma' Afghan coat. Madcap England take inspiration from the late 1960s era and the penchant for parading intricate Eastern fashions that matched the mood for transcendental meditation and experimental music. The three quarter length coat in tan is impeccably crafted with sublime retro faux suede outer accompanied by carefully tousled synthetic wool trim (akin to that of the Karakul sheep) and soft faux shearling lining. Finished with retro psychedelic floral embroidery that follows the placket down and runs along the hem. 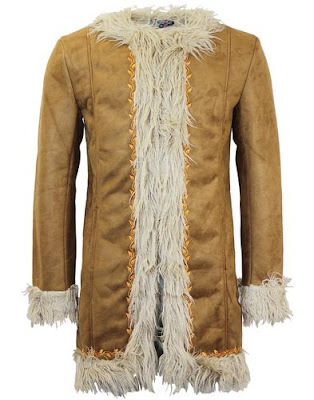 A fantastic coat, which is sure to keep you warm on them chilly Spring days! 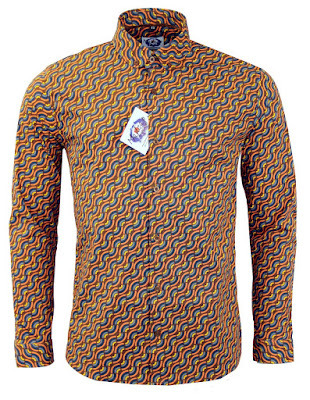 This shirt will take you right back to the 70s with a fantastic quirky pattern in bold colours! The striking print gives a strong psychedelic look and that essential retro vibe. Featuring a neat button down rounded collar and classic slim fit construction. Add some colour to your Spring wardrobe with this fab 'Rainbow' shirt, which is sure to make you stand out from the crowd. 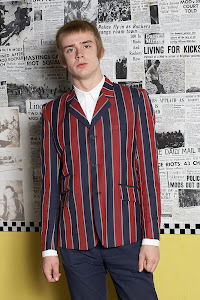 'Rock Flare' are a classic for Madcap England and they are back with a whole 26 inch of fantastic flare. 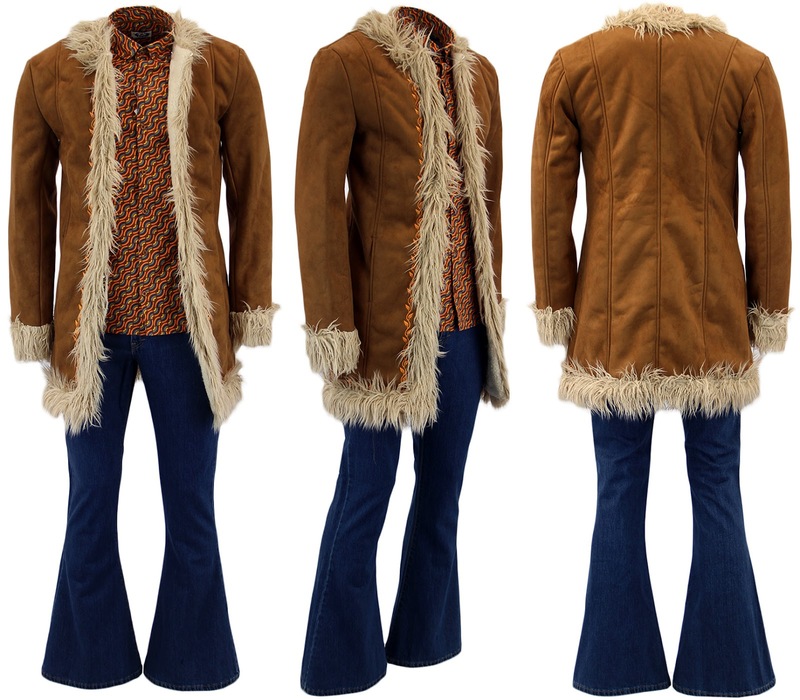 Traditional bellbottom shape that stays slim through the thigh before spreading out just below the knee to create an awesome 26 inch flare. 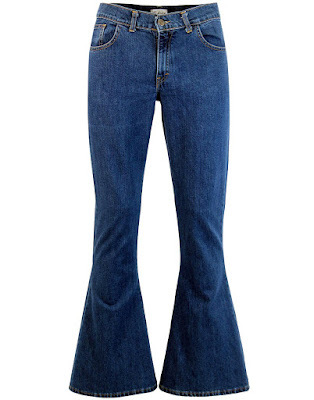 In a vintage distressed stonewash blue denim and classic hipster waist for that neat seventies look. Finish off the outfit with that essential pair of flares, which look great teamed with the Afghan coat.